How Will Artificial Intelligence Impact Project Management? In addition to consulting, writing, and teaching in the business world, I also write science fiction, though sometimes, as actor Richard Dreyfuss told me at a recent event, it's hard to tell the difference. So, it was with great interest that I read a recent article in the UK-based Project Manager Today about... well... project managers tomorrow. Specifically it was about "how project management roles might change in the future." We've all been hearing about digital transformation and the Internet of Things for some time now. Recently, there's been buzz about breakthroughs in artificial intelligence, from the intelligent android Sophia to Emotion-Detecting AI that can detect real-time changes in a person's mood based on their face and/or voice. How fast is all this going to evolve and what does it mean for project managers? According to the Project Manager Today article, some forecasts suggest that "by 2030, up to half of all jobs could be replaced by robotic or AI workers." The authors cite eight fields of endeavor that could be impacted by this, from doctors, teachers, journalists, and lawyers to construction workers, entrepreneurs, R&D workers, and market strategists. Put simply, if robots are performing medical operations, capturing news for journalists, and executing construction demolitions, and AI is preparing lesson plans, legal cases, and market studies, things could be looking a bit different in just a few years. Tony Stark-like entrepreneurs could have their own Jarvis-like AI helping the run their business. Elon Musk is probably already working on it. Meanwhile, project managers could find themselves busier than ever with more complex projects, supporting and administering robotic and AI efforts, serving as the human facilitator in otherwise automated initiatives, leading projects to make new and better use of AI-driven analytics, and more. As the authors point out, some areas, such as pharmaceuticals, are already making gains in AI, and project managers with experience in such projects could soon be in high demand. Could project managers one day also gain from the benefits AI offers? Could AI assist with stakeholder analysis; detecting customer satisfaction; planning out the project tasks and resources required; identifying troubled projects early; managing risks; and more? These are questions we may actually be thinking about over the next five to ten years. What about the negative impact to a project manager's career? Could there ultimately be a time when we have a robotic project manager, able to make phone calls and send emails when tasks are running late, or change gears when a resource is pulled off on an emergency? Considering project management is mostly about communication, building relationships, and removing barriers, it may be a while, though a Jarvis-like assistant wouldn't be unwelcome (aside from the occasional urge to slap it). 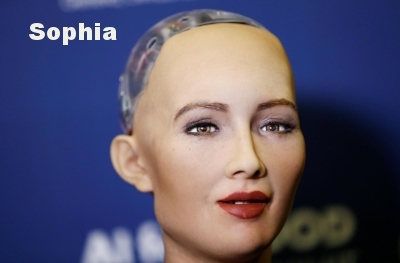 Then again, once Sophia and other androids begin improving their emotion-detecting skills, they could well do more than we imagine. If you asked me in the early 70s if we could one day in my lifetime watch practically any movie at home instantly at any time, I would've said you were dreaming. Now we have self-driving cars, Google brain developing its own encryption method, Watson winning at Jeopardy, and Adam and Eve forming scientific hypotheses and determining which compounds to study. Project management may not be that far off after all. 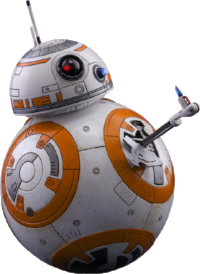 Meanwhile, I'd like my own BB-8 to start with.